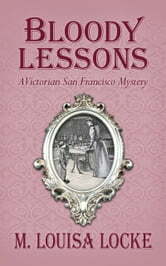 In Bloody Lessons, the third book in the bestselling Victorian San Francisco mystery series, it's the winter of 1880, and the public school teachers of San Francisco are under attack: their salaries slashed and their competency and morals questioned in a series of poison pen letters. In this historical mystery, readers will find the same blend of a cozy mystery and romantic suspense that they found in Locke’s Maids of Misfortune and Uneasy Spirits. However, if new to this series, they will still enjoy spending time with the lively residents of Annie Fuller's O’Farrell Street boardinghouse and visiting San Francisco when Golden Gate Park was filled with horse-drawn carriages, politics were controlled by saloon-keepers, and kisses were stolen under gaslight. 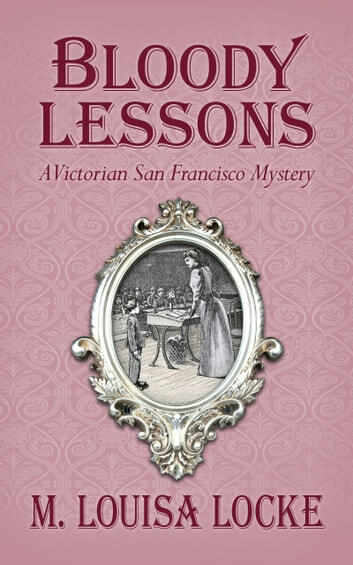 Bloody Lessons is followed by Deadly Proof, and Pilfered Promises, and Locke’s shorter works, found in Victorian San Francisco Stories and Victorian San Francisco Novellas, feature minor characters from the series. How can old maids be so young. This is a dreadful miscarriage of writing. She thought this, she thought that, he said, she said. The real mystery is who published this drivel. I deleted it from my library after 40 pages. This is a well written historical mystery that takes you back in time so you get a real feel of how life was for these characters. Well developed characters and a plot that keeps you guessing. I hve thoroughly enjoyed every book in this series and this one is no exception. The story is well constructed, with good characters and a lot of detail to take you back in time, in San Francisco. Another great book. Looking forward to reading the next one. Another book in the saga about Annie and Nate, and Annie's boarders, and also Nate's sister, Laura.